Every year in October we have some fun for Halloween. We create a special gallery full of scary, creepy, haunted Halloween images to display. This gallery grows every year and includes thousands of great images from our members. This special "Haunted House" gallery is now live for everyone to enjoy! We encourage all ArtWanted members that have any artwork in their portfolio that would fit the theme of this gallery to submit it. 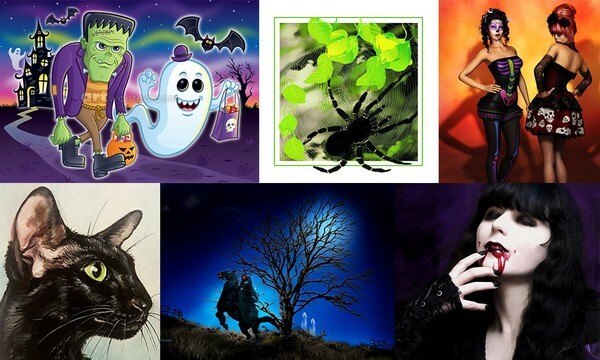 You can submit as many of your portfolio images to this gallery, just make sure they fit the theme of Halloween artwork. To submit your artwork to this gallery, visit the "Haunted Gallery" link from your Control Panel in the Special Projects section. Once there, click on any of your artwork that qualifies for this scary gallery. Click Here to submit your artwork.